The Sheckler Foundation’s 9th Annual Skate for a Cause is happening this Saturday. Presented by Oakley, Skate for a Cause is a family friendly event that combines a world class skate jam and carnival. 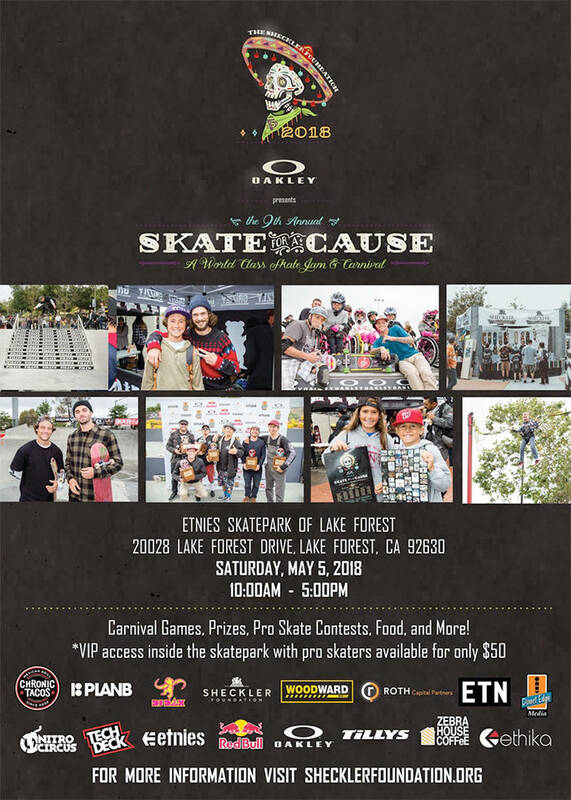 With the top names in skateboarding participating, and all of the proceeds going to the Sheckler Foundation’s Be The Change initiative, this is something that’s not to be missed if you’re in the area. Check the flyer below for the full event details. Guy Mariano reflects on his career and legacy as he prepares to be inducted into the Skateboarding Hall of Fame on Friday. This establishes the vibe of the brand. Yoshi hits up Washington, DC, for Mob Grip. It’s currently available for pre-order.